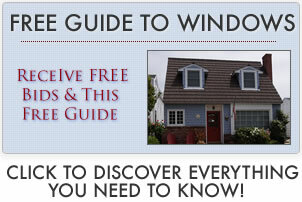 Anlin windows reviews – discover contractor, industry insider and consumer opinions on all aspects of this company. Find out if customers liked the products, service and what, if any, general complaints arise from this manufacturer. Anlin has a good West Coast reputation. If you have only received a price quote from Anlin, I’d make sure you get another from a company like Milgard. Some say Anlin makes a higher quality window than Milgard, which may or may not be true. However, Milgard is a much bigger company while Anlin has only one plant and you just don’t want the company to disappear and have no recourse. Personally, I don’t think they are going anywhere, but it’s certainly a consideration to be aware of. Not a bad idea to compare Anlin window costs to Milgards as well. I do all of my work on the East Coast so I personally am unfamiliar with their lines, but from all of the reviews I have seen, they are quite well regarded. Anlin manufactures only on the West Coast to the best of my knowledge. If you are in the process of searching for windows, I would recommend that you should get at least three estimates so you can compare product and installation cost. This will give you enough knowledge to make an informed decision. Explore more on Anlin windows prices. We recently put 18 Anlin windows and 1 sliding door in my house, we bought them and had them installed by a local company. The windows themselves are high quality, however, the customer service from American Vision was horrible. They make a lot of advertising claims about how devoted they are to the customer etc. and that was supposed to be the reason the charge more for their windows and services. We had the windows installed and had several little issues that needed to be touched up to make the installation complete. It has now been 10 weeks and so far no action on their part to fix the problems, despite numerous calls. They took 5 weeks to even send someone out to look at the issues we discovered. I’d recommend Anlin, but I certainly would be very cautious about buying them from American Vision. The Coronado Series from Anlin is a better window than the Simonton equivalent. The Anlin extrusions used are in the .080 range, the Simontons are in the .072 range. The Anlin uses a Super Spacer (about as good as the TPS from Schuco), Simonton use the intercept as a standard feature on most of their lines. Long story short, the Anlin performance numbers are better than the Simonton. Anlin is a higher end window in my opinion for the West coast. You should certainly negotiate to get the best price from a good installer. Make sure you thoroughly check out the distributor you go with to make sure they are going to focus on good customer service and that they have a solid track record. Talk with 3 or 4 references and ask about the installation techniques to make sure they don’t take short cuts. Often I find that Cascade windows are priced similar to Anlin or CertainTeed and in my opinion this should not be the case. I consider Cascade as a builder grade window and don’t compare to the newer windows on the market when it comes to build quality or construction. From what I can see they offer a good warranty which is why they are considered a decent window. I would recommend looking at CertainTeed over Cascade. The Somerton range is better than Milgard. Anlin are good windows and are durable with impressive U-Factor numbers. If you can get Anlin in the same price range as Cascade or CertainTeed, I would go with the Anlins.